Bring a sense of warmth and simplicity to your bedroom with this panel bed. The clean lines, block legs, and panel headboard speak to casual contemporary style, while the Basalt Grey finish exudes rustic warmth. 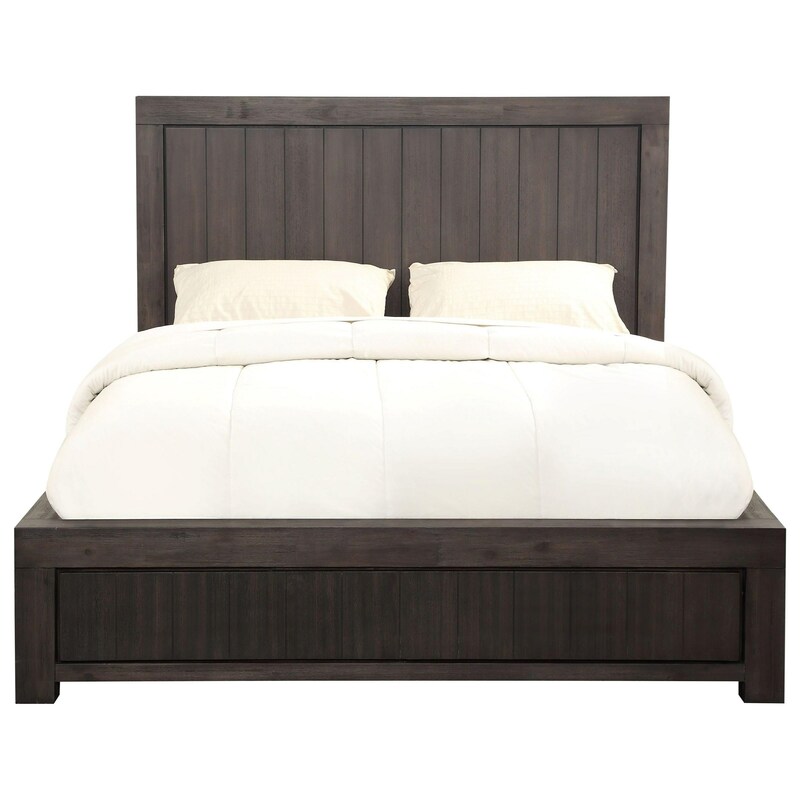 The Heath California King Panel Slat Bed by Modus International at Michael's Furniture Warehouse in the San Fernando & Los Angeles area. Product availability may vary. Contact us for the most current availability on this product. 3H57F6R C King Rails 1 0" 0" 0"
3H57F6S C King Slats 1 0" 0" 0"
3H57F6FB C King Footboard 1 0" 0" 0"
3H57F6BH C King Headboard 1 0" 0" 0"
Showcase your quietly sophisticated style with the Heath bedroom collection. A rich Basalt Grey finish sets the stage for a rustic contemporary feel, while block legs and clean lines keep the look relaxed. Storage abounds in this timeless and versatile bedroom collection, including bed options with space-saving footboard storage. The Heath collection is a great option if you are looking for Casual furniture in the San Fernando & Los Angeles area. Browse other items in the Heath collection from Michael's Furniture Warehouse in the San Fernando & Los Angeles area.